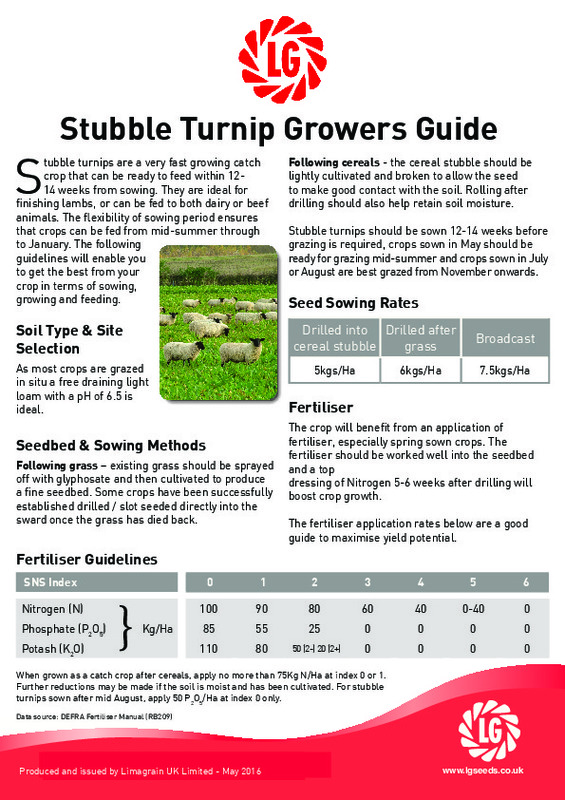 Stubble turnips make an ideal fodder crop for smallholders and present a good example of fast-growing catch crops. The benefits of growing a forage crop are numerous and Stubble Turnips are a good fodder crop for the smallholder. The Samson variety features a large tankard shape with a purple root and it offers an attractive source of highly digestible and palatable fodder. Because of its sweeter taste, recent trials show that livestock prefers to graze on the Samson variety.